Have you ever experienced a majestically fun night at a club or bar? With the combination of strong booze and lively blaring techno music, it’s difficult to avoid getting infected with the fun spirit that usually permeates these scenes. This awesome magic is mostly due to the expertise of the DJ playing the music for the night. 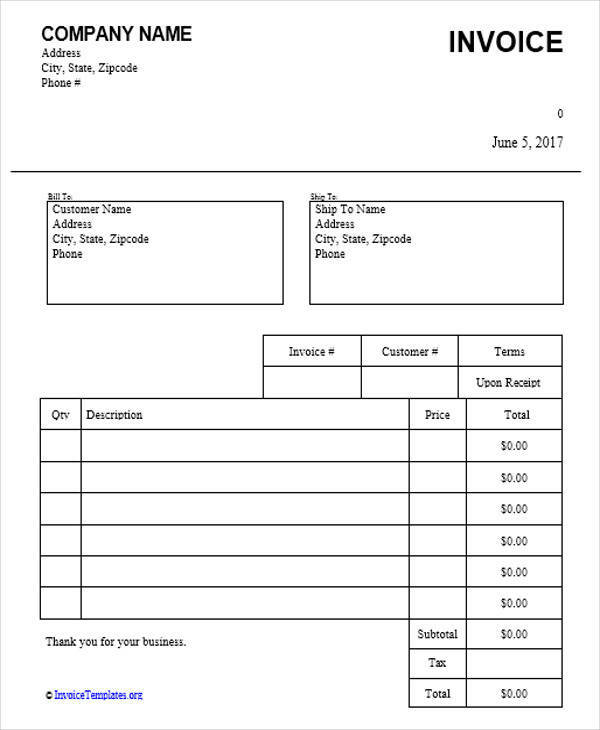 You may also see printable invoices. If you are working as a freelance DJ, you must be swarmed with multiple professional opportunities. When dealing with the owners of bars, clubs, and private parties that you are DJ-ing for, you must be able to conduct your business transactions with these entities in a professional manner. One important aspect of professionalism that you must take care of is the sending of proper invoices to your clients. 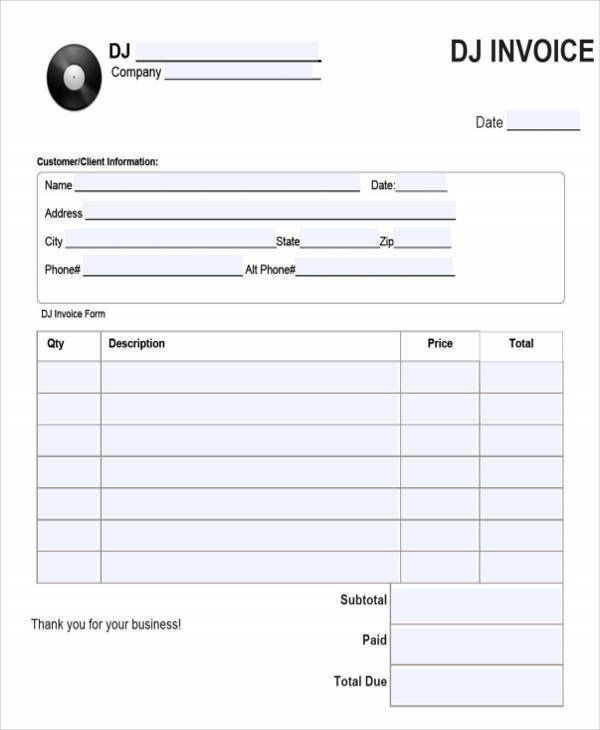 On this page, we provide you with various invoice sales templates. We also discuss briefly the difference between invoices and receipts. 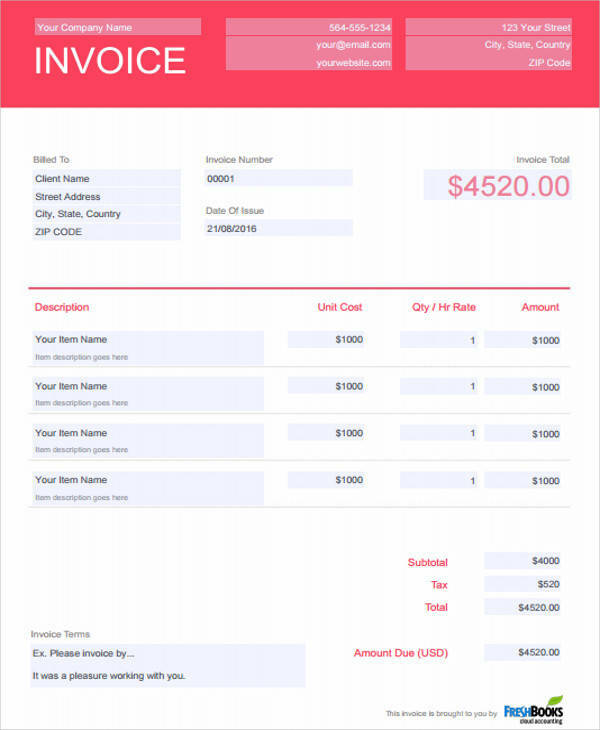 What Is a DJ Invoice? 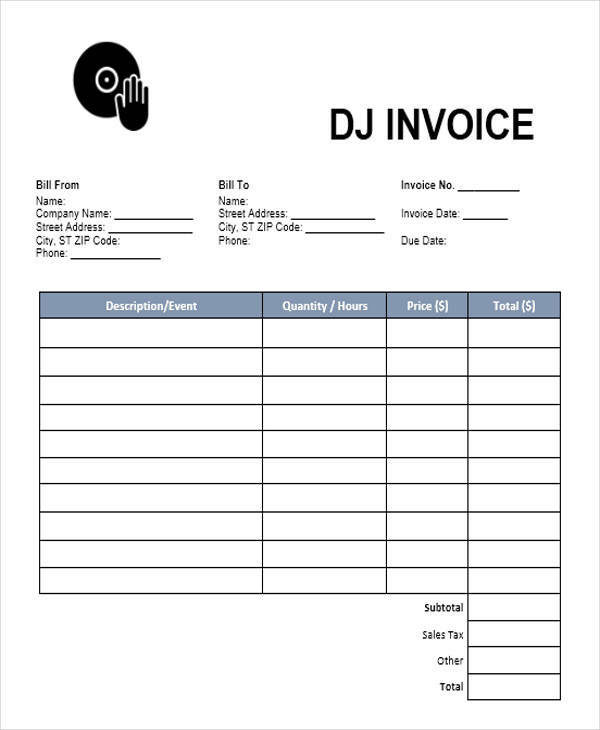 A DJ invoice is the document that DJs use to formally request their clients to settle their payments. Aside from the regular tasks of a DJ, are you also in the business of organizing parties and events that your customers hire you to DJ? What materials do you usually need in the course of performing your usual job functions? 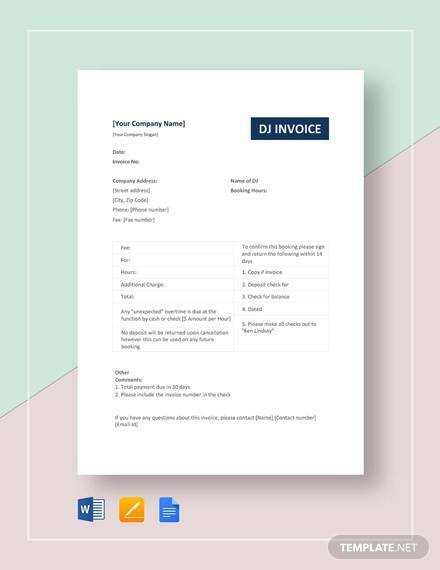 When you have answered the abovementioned questions, you may now proceed to making your DJ invoice. Write your real name or your DJ name, your address, and your contract information. You may also add your professional logo. Indicate the price per service. 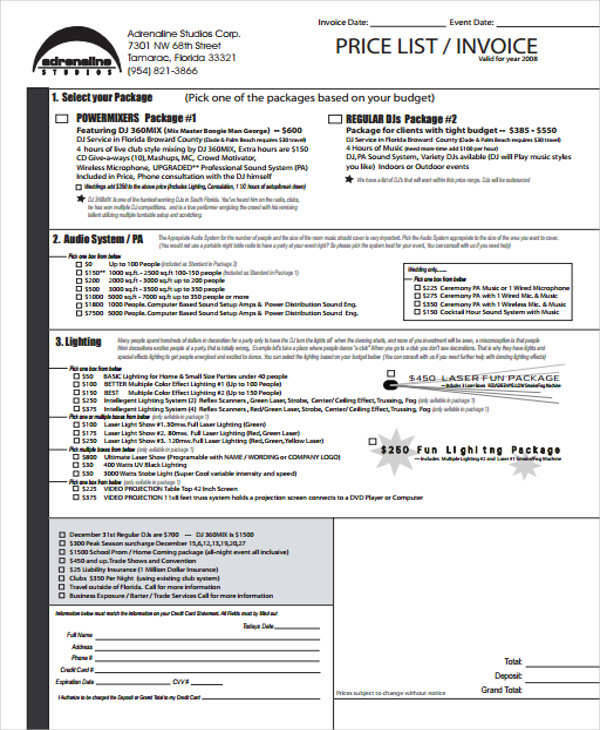 For more reference, you may download from our collection of graphic design invoice templates. 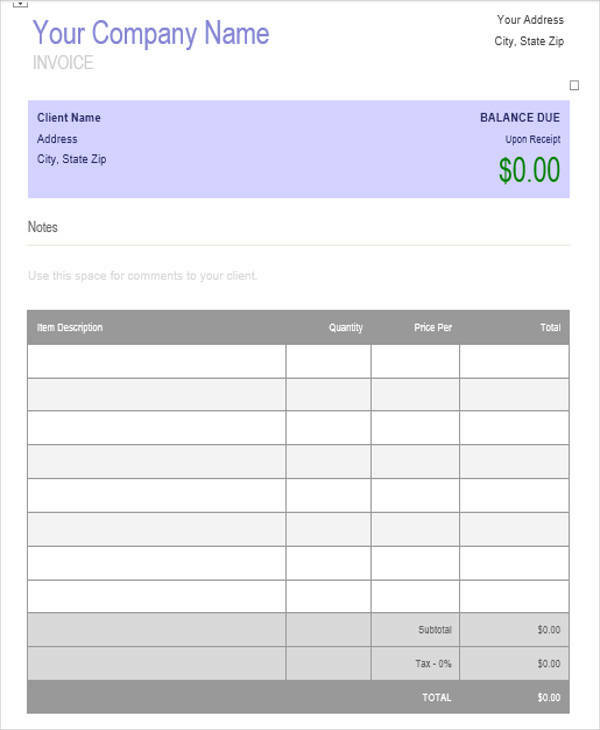 Print out an invoice and personally give it to your client. E-mail it to your client. In order to ensure that your client was able to receive your soft-copy of your printable invoice,you need to call his/her attention to the email through a phone call or personally. To know more about the nature of invoices, you may browse our website’s wide collection. We also have consulting invoicetemplates for those who are engaged in the industry of providing consultation services be it legal, medical, or marketing.